Here at Gurley Leep Kia, we’re passionate about taking care of our customer’s vehicles. We understand how important it is to keep your vehicle running and how busy your daily schedule can get. Quality service is vital. Routine maintenance is needed to maintain the quality and longevity of your vehicle. You don’t want to let just anybody under the hood. Our Kia certified service technicians are highly trained, skilled, and equipped with the best diagnostic and repair equipment. From oil changes to transmission flushes, our elite technicians handle every vehicle with the same care and precision they use with their own vehicles. Our service advisors are friendly and knowledgeable: it is our goal to answer every question or concern you have about your vehicle. We never want our customers to feel as if they didn’t receive an answer or that they are being taken advantage of. As a team, we go the extra mile to provide you with an honest assessment of your vehicle and provide you with valuable vehicle information. Customer satisfaction is our number one priority! Along with the excellent service you will receive from our entire staff, we also offer several different amenities in our lobby for customers to use while they wait including complimentary coffee & assorted beverages, Wi-Fi, and also tablets to keep the kids busy while you wait! Also be sure to ask about our complimentary shuttle service. Our shuttles are available to take you wherever you need and pick you up when your vehicle is complete. 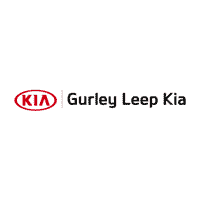 You can count on us at Gurley Leep Kia to answer your questions and assist you respectfully. We take great care to ensure that your vehicle is in tip top shape, and that you are back on the road in a timely manner. Come to our shop- where satisfaction is seamless.